﻿ Portugal 0-0 Chile (0-3 pens). The European champions are out! 28.06.2017 » Portugal 0-0 Chile (0-3 pens). The European champions are out! 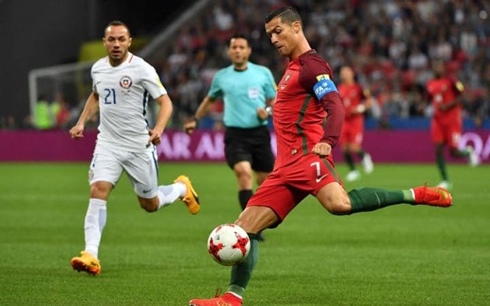 Portugal were eliminated tonight by Chile in the Confederations Cup, following a goalless draw both in regular and extra time, preceded by ruthless 3-0 in the penalty shootout. Chile will now play either Germany or Mexico in the final. Early on, Vargas was free through on goal with only Rui Patricio in his way, but he fired straight at the Sporting CP keeper. Soon after, Cristiano Ronaldo found himself free on the wing too and released a brilliant ball to find the new AC Milan signing, André Silva, closing in on the six-yard box. His shot, however, was also smothered by Claudio Bravo, who would become the hero on the night for the Chileans. The game continued to go end-to-end, with both teams having clearcut chances. It was clear that Portugal did miss Pepe at the back however, as Chile repeatedly found holes in the defense. Arturo Vidal stepped up first for Chile and unlike his attempt against Real Madrid, he put this one home, blasting the ball to the keeper's right. Quaresma missed next, firing his penalty straight at Claudio Bravo. Portugal missed the second, as well as João Moutinho, who fired his shot straight at Bravo as well. At this point, Chile had a 2-0 lead. And soon it was 3-0, following another Portuguese miss, this time by Nani. And just like that, it was all over. A truly poor showing for Portugal in the shootout, especially compared to last summer, when they were so decisive at times. Claudio Bravo will go down as the hero of the night, saving three straight penalties in the shootout. 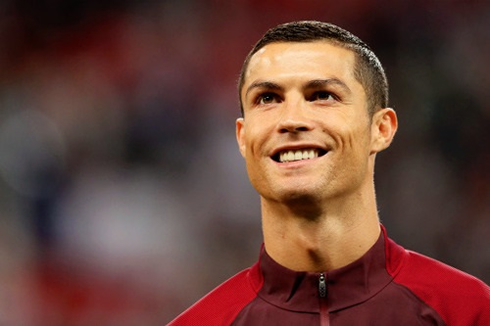 It will be disappointing for Portugal, who surely would have liked to play in yet another final, especially Ronaldo, who didn't get his chance to put his stamp on the EURO 2016 final. Nevertheless, it was still a good preparation for the team ahead of the 2018 FIFA World Cup in Russia next year. Now and after the 3rd place game on Sunday, all of the players will get a well-deserved rest after a long and arduous season. 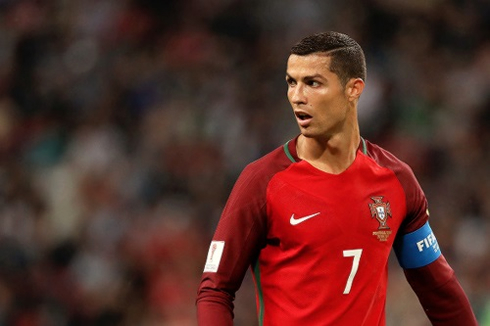 Cristiano Ronaldo next game is a Confederations Cup game on July 2 of 2017 against Germany. You can watch Juventus live stream, Portugal vs Germany, Germany vs Spain, Sweden vs Czech Republic, Sydney FC vs Arsenal, and Germany vs Mexico, all matches provided from our live soccer game pages.